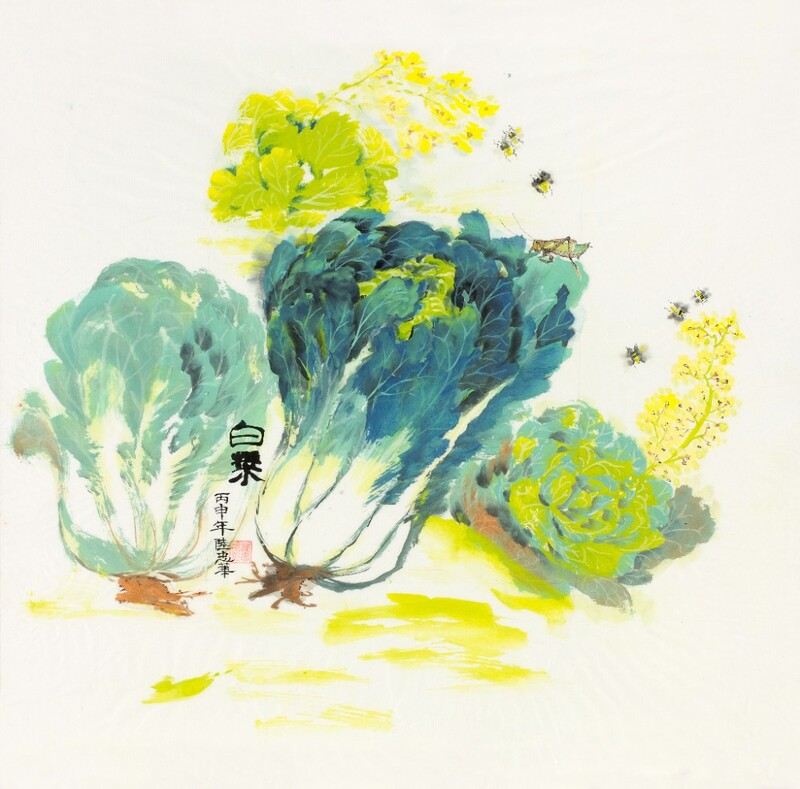 Protect early spring crops, like Nozaki Chinese Cabbage, from the pests that want to eat them. The birds are chirping, the garden is waking up, you’ve spent the week preparing the soil and finally got your first plants in the ground…only to come back the next day and find them half eaten or even gone. Unfortunately this scenario is all too common in early spring. Just like your garden, pests and critters are also waking up, and are hungry to munch on anything they find, especially your tasty little garden plants. The best defense is being prepared. Some pests are most damaging in the spring when plants are at their smallest and most susceptible. Others are best deterred early on to prevent them from coming back all season. Here are 5 to look out for, and how to keep them from doing harm. 1. 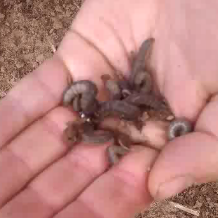 Cutworms: These plump, brownish soil-dwelling caterpillars come out at night and cut little seedlings at ground level. They are a problem in early spring soils especially, before they transform into moths and seedlings are small enough to get damaged by their cutting grasp. 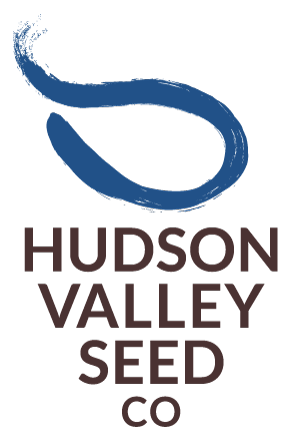 Prevention: Cutworms overwinter in roots and debris, so be sure your early spring planting plots are left very clean at the end of the season. If you have a problem now, act fast & deter them from getting your plants with a physical barrier, such as toothpicks. Or try diatomaceous earth, which needs to be reapplied after getting wet by rain or watering. 2. Flea Beetles: These tiny black beetles jump around quickly and chew numerous holes in leaves. 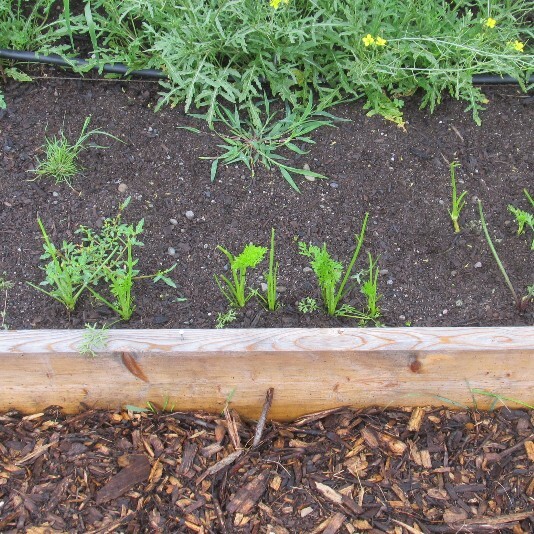 They are especially prevalent on early spring planting of arugula, Chinese cabbage, kale, and Asian greens. Prevent: A physical barrier is the only real way to keep these tiny pests off your plants. Use row cover, and don’t delay after seeding or planting. Cover immediately or you will surely trap flea beetles under the row cover. 3. Deer: One deer can do a large amount of damage even to a mature garden. Though they only eat some things, they are known to taste anything, eating entire plants in one bite. You know it’s deer when you seed damage accompanied by their foot-prints. Prevent: They only way to keep deer out is with a fence they can’t easily jump over. Even fences don’t keep them out: Newly fenced gardens are very susceptible to deer breaking in when deer are used to walking through the area and the fence isn’t very visible. Fence in your garden as early as possible, and mark it with colored ribbons or flagging. An electric line or two will train them to stay away. 4. Groundhogs & Bunnies: These den dwelling critters often find ways of making home right inside your garden fence, giving them direct access to your delectable spring plants. Prevent: A tall fence won’t keep these critters out, they are both skilled at entering from underneath fence lines and chewing through them to get in. Try creating a critter fence: Use 4′ high chicken wire or hardware cloth, set up so it is 3′ tall and pinned to the ground so that 1 foot of it runs along the ground, so they can’t dig under it. Keeping garden edges and borders clear of debris and shrubs also pushes their habitats back and makes the path to your garden more exposed, and keeps them away. 5. Voles: These small rodents tunnel underground. 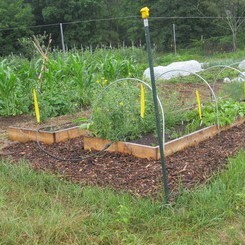 They damage roots and perennial plantings, but their tunnels can also affect newly seeded beds. Prevent: Keeping your garden clean and weed free is good, but focusing on the edges and borders of your garden is key. Keep the lawn mown short, which deters them from tunneling to your garden, and remove mulches and debris from areas bordering or surrounding your garden. Visit our blog for more on pests and April Garden Chores.